Edith W. Hilpman of Weston and Woolwich, Maine, died on Feb. 13 in Brunswick, Maine, with her family at her side. She was 81. She was born on July 3, 1929 in Boston, Mass., the daughter of Charles J. and Margaret A. Leveroni. She grew up in North Quincy, Mass., summering in Woolwich since 1939. Ms. Hilpman was a graduate of Boston Academy of Notre Dame and the Faulkner Hospital School of Nursing in Boston. In 1956, she married John H. Hilpman, whose career with General Electric moved them to Caracas, Venezuela, in 1957, and other world destinations including Beirut, Lebanon, Brussels, Belgium, and Athens, Greece, before returning to the U.S. in 1976. She was predeceased by her husband John H. Hilpman II, and son, John H “Tito” Hilpman III. She is survived by her daughters, Elizabeth R. Hilpman and her partner Byron Tucker of New York, N.Y., and Margaret W. “Gretchen” Reasoner, her husband Jonathan A. and grandson Jonathan W. “Jack” Reasoner of Sandy Hook; her brother and sister-in-law Charles F. Leveroni and Priscilla S. of Falmouth, Maine; a brother-in-law and his wife, Paul L. Hilpman and Carol of Kansas City, Mo. ; nephew Peter R. Leveroni and his wife Michelle of Bakersfield, Calif.; nephew Christopher W. Leveroni of Teton Village, Wyo. ; nephew Charles H. Leveroni and his wife Amy of Marblehead, Mass. ; many grandnephews, and a grandniece. A memorial gathering will be held at a later date. 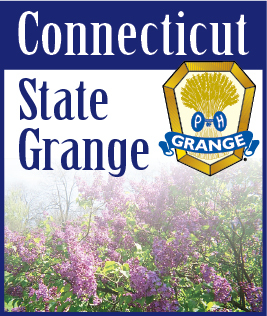 If friends desire, donations may be made in her memory to the Norfield Grange, 12 Goodhill Rd, Weston, CT 06883, or to The Pine Tree Society (Camp), P.O. Box 518, 149 Front St, Bath, ME 04530.